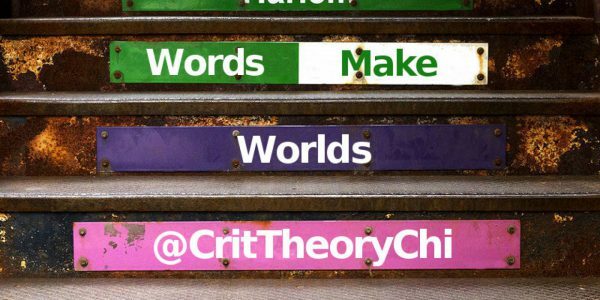 Critical Theory Chicago is a space for discussion about social, political, and critical theory in Chicago, IL. If you want to attend an event or suggest a discussion, email us at criticaltheorychicago at gmail dot com. We believe that the humanities belong to all of humanity, so we are here to bring theory and action together for the benefit of the whole. find yourself arguing that the humanities are important for the public? think that communities fostering creativity and critical thought improve lives? have an idea for a program or event? think words and actions change the world? need meaningful work in your life? Pump up that LinkedIn profile. We need critical thinkers and doers to attend events, lead discussions, develop content, teach classes, create programs or events, and become community builders. If you are interested or have any questions, please email us at criticaltheorychicago at gmail dot com.